SENEGAL - The Board of Directors of the African Development Bank Group approved the eligibility assessment for compliance review of the Bank-financed 125-MW Sendou coal-fired power plant project in the village of Bargny Minam in Senegal. Independent experts will carry out further investigations to clarify issues raised by two groups of residents from the community of Bargny. Both groups raised questions over government policy and the National Code of the Environment, and the potential vulnerability of communities and a heritage site to air pollution, coastal erosion and the disruption of livelihoods. The groups expressed concern over the level of public consultation which had taken place around the project, and over the Bank's environmental, social and human rights standards. In particular, they feared that no resettlement plan had been prepared to mitigate any potential negative social impacts of the project. “Having received these complaints, which it takes extremely seriously, the Bank has decided to further investigate them,” said Pierre Guislain, Vice-President for Private Sector, Infrastructure and Industrialization at the AfDB. “At the outset of the project, the Bank carried out in-depth due diligence, and registered many of these important elements in its environmental and social action plan for the project – a plan which is now being carried out by the company managing the project, Compagnie d'Electricité du Sénégal (CES). Guislain confirmed that the Bank will continue to follow up on issues raised, including concerns over the potential of disrupted livelihoods for women and other seasonal and temporary workers who dry and package fish, and at complaints over land plots that may have been reclaimed by Government without compensation. “We last reported to the Board in September 2016 and hope to do so again towards the second semester of 2017. The Bank takes its social and environmental responsibility extremely seriously,” he said. Working in close collaboration with the Bank, SENELEC and the Project Company CES proactively undertook several actions since the month of July 2016 to significantly enhance the Project surrounding communities' social benefits and living conditions during both the construction and operation phases. A social action plan, part of a tripartite agreement between SENELEC, CES and the Bargny municipality signed in March 2017, was set up alongside an implementation and follow up committee representative of the local population. The project was approved by the Board in 2009 at a cost of €206 million, which the Bank co-finances with the Banque Ouest Africaine de Développement (BOAD), the Nederlandse Financierings-Maatschappij voor Ontwikkelingslanden N.V. (FMO), and Compagnie Bancaire de l'Afrique de l'Ouest (CBAO). AfDB's financing comprises a senior loan of €55 million, and a supplementary loan of €5 million. The project is being developed on a “build, own, and operate” basis and aims to supply up to 40% of Senegal's electricity. Senegal currently generates 80% of its electricity from diesel-fueled power. The Government of Senegal has developed a strategy for diversifying and increasing domestic power generation capacity with a combination of conventional thermal base load and renewable energy. Sendou is the first coal-fired plant in Senegal. 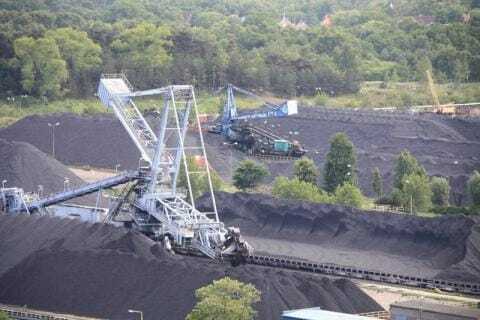 The coal will be imported via sea and unloaded at Dakar harbour, from where it will be transported by truck to the coal storage site on the plant. The project aims at producing at least 925 GWh of electricity a year. The power will be delivered to the national interconnected grid system of SENELEC, Senegal's public electricity utility company. The project includes the development, design, procurement, construction, operation and maintenance of the 22-hectare site. Power production can be expanded to 250 MW through a second phase project, for which project preparation has not yet started. The project will also build a 1.6-km 225 kV transmission line and associated switchyard to connect the plant to SENELEC.